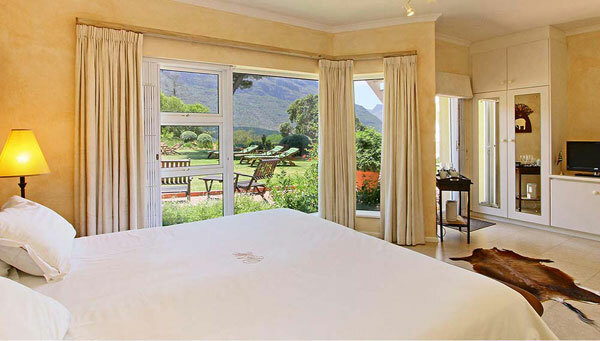 The Mountain Room (32m2) is a luxury family room with a private entrance from the garden. It has a light en-suite bathroom with shower. The room is tastefully decorated in soft natural tones. Great attention has been given to the quality of the beds including white percale linen specially monogrammed for Villa Montebello. The bed is king size extra length. Check our availability and book your accommodation online right now! 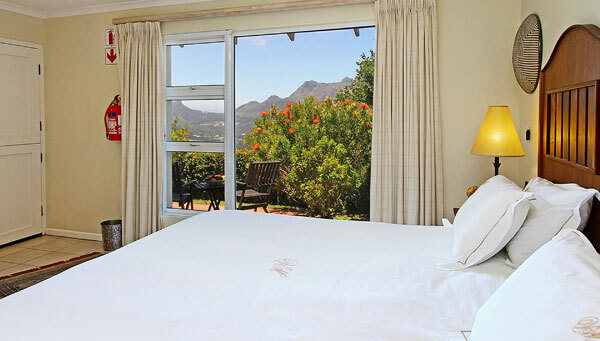 The Mountain room has gorgeous views of the valley of Hout Bay and the sea. 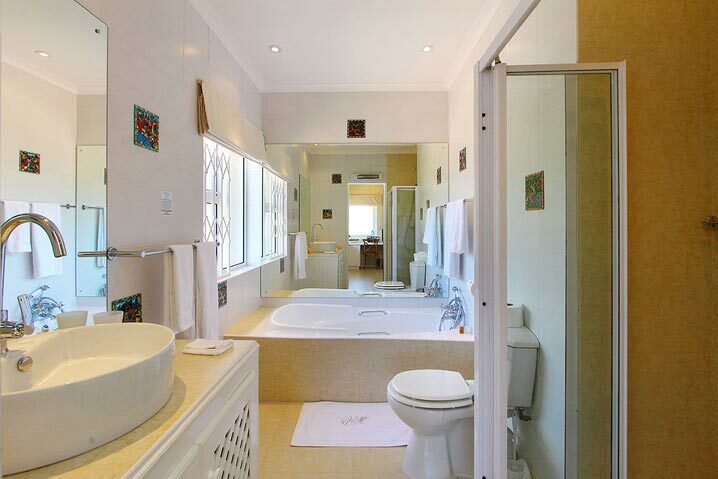 Doors give direct access to the garden and to the solar heated swimming pool. Check our Online Calendar For Availability! 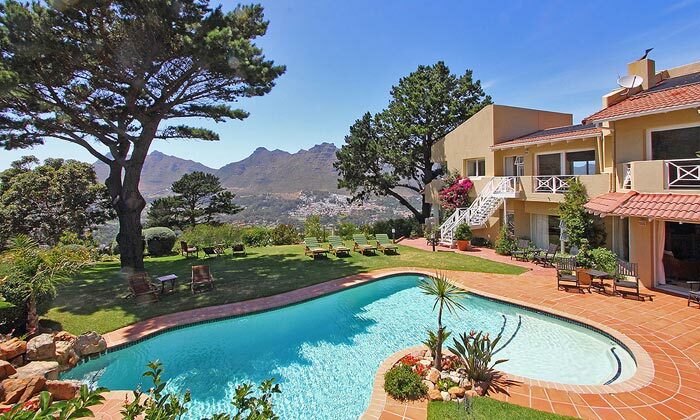 Book now to stay at Villa Montebello Guesthouse and create memories of the happiest days of your lives. 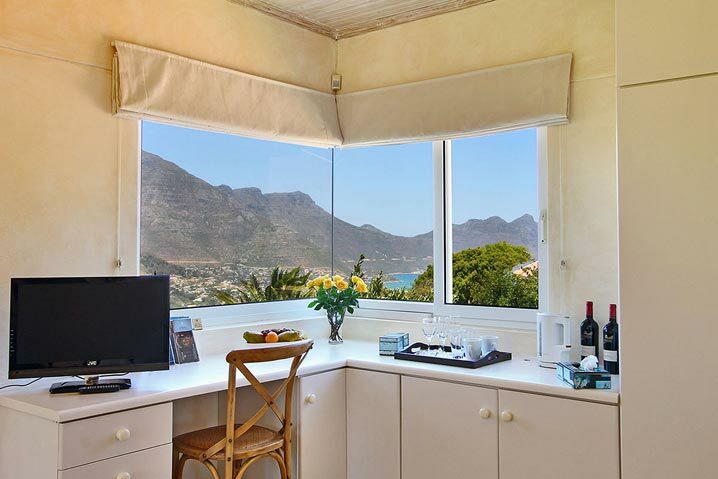 A luxury family room or Honeymoon suite with a 360° view on the sea, the Valley of Hout Bay and the garden with pool. 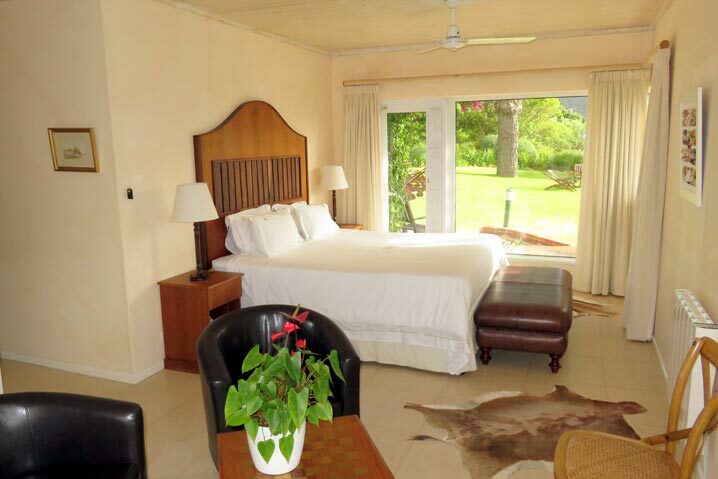 A luxury family room with lovely views of the Garden and the mountains to provide you with comfort & tranquility. 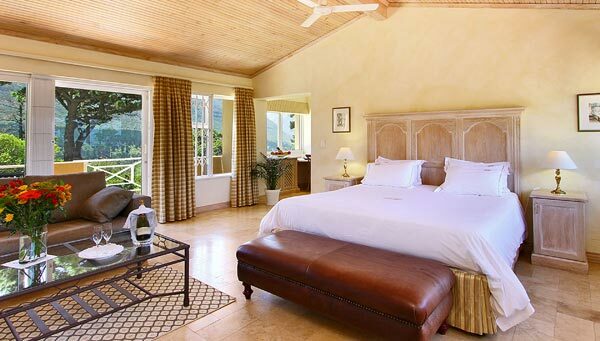 The standard cottage room is a seperate building with full privacy and amazing views on the valley and the mountains.